Congrats on the engagement! 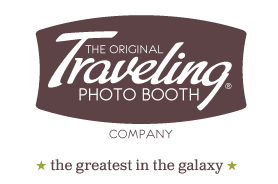 Since 2005, we�ve helped thousands of adorable couples (but not nearly as adorable as you) capture once-in-a-lifetime moments. Our quality, features, and add-ons are second to none. You deserve the best and we promise you won't regret inviting us. 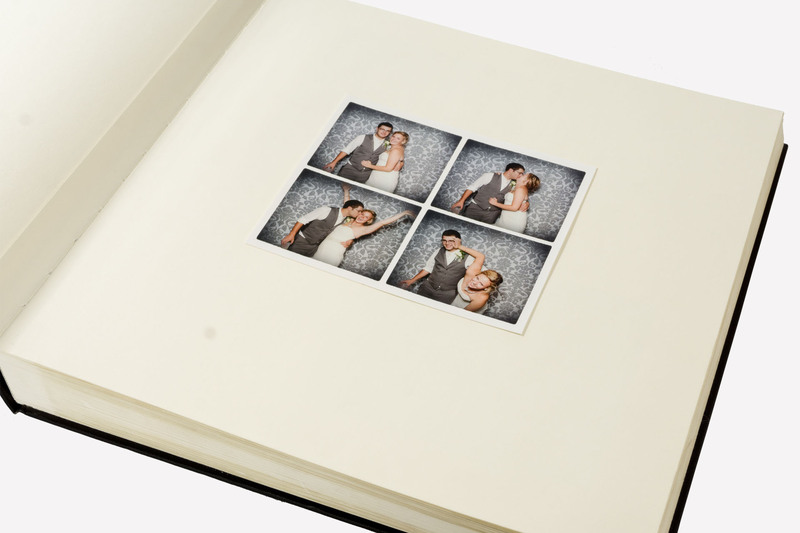 It would've been easier and cheaper for us to buy a generic photo booth but we demanded the best and it didn't exist. 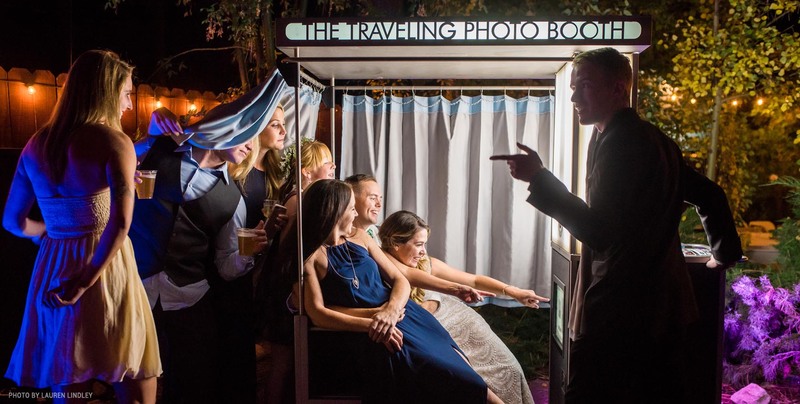 Our machines are designed exclusively for us (learn about our company history HERE) and our patented software and beautiful photo booths and photo stands are jam-packed with one-of-a-kind features you won't find anywhere else. 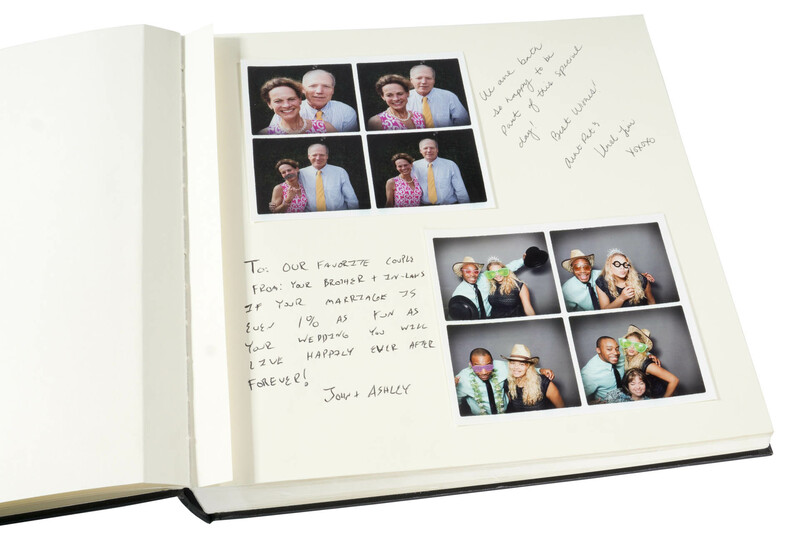 This precious, handmade guest book is made by our on-site Boother® during your rental and is the perfect keepsake of all the spectacular memories and messages of your event and from your guests. 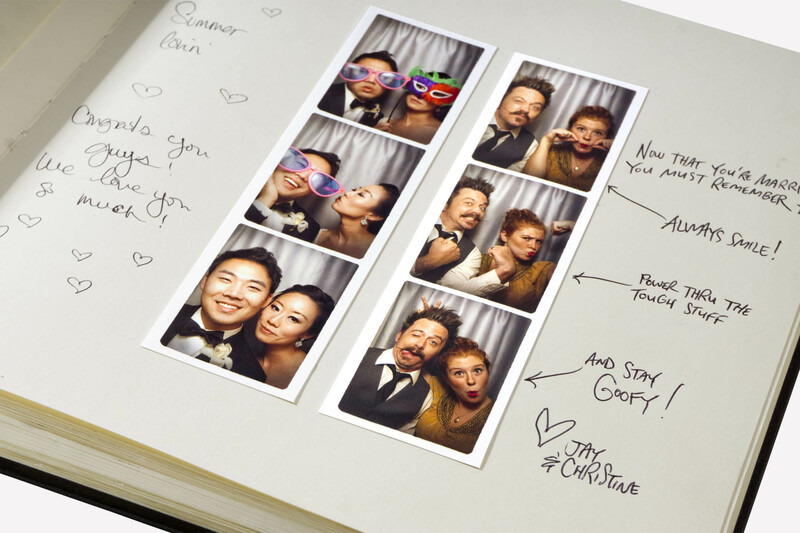 The sentimental attachment is so immeasurable, we can't help but get a little dewy-eyed. Full of character, impossible to insure, and a priceless keepsake to be treasured for generations to come! 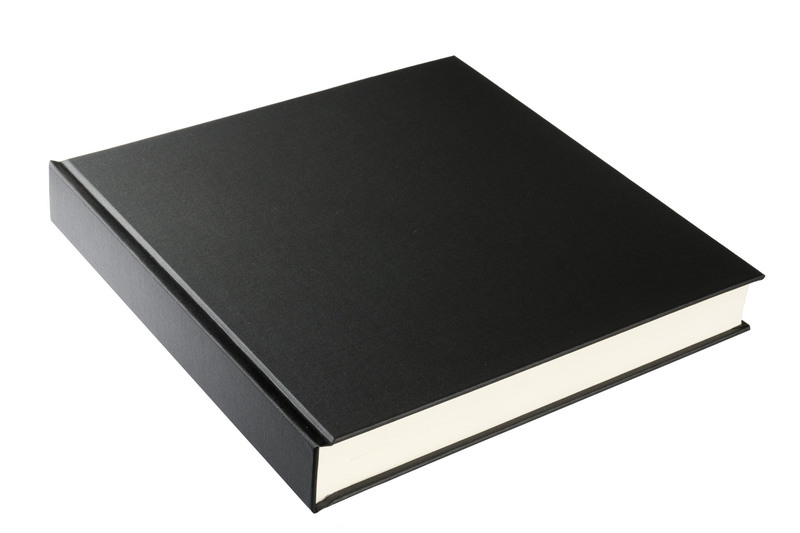 Measures 10.25" by 10.25", archival pages and manufactured exclusively for us. CLICK HERE for even more info.